In the aftermath of an accident, investigations rarely show that there was no way to prevent an incident. The Health & Safety Executive (HSE) only takes punitive action to ensure other organisations’ check their safety procedures are free from fatal flaws. This is particularly important to ensure the public is safe, especially in leisure and adventure parks, where there is an inherent risk factor, albeit one that should be minimised. Staff and contractors also need to take safety precautions. Even when there are near misses, reputations are put at risk, and lessons should be learned. In many respects, brands face more challenges when trying to protect reputations, with accidents broadcast and shared on social media in almost real-time. We built Papertrail around giving organisations’ the tools to create a strong, transparent corporate safety culture. Instead of paper records and a pile of tedious paperwork, we made it easy to update compliance records and inspections in real-time, with apps and a web-based dashboard, giving managers oversight that many previously lacked. Human error is preventable. 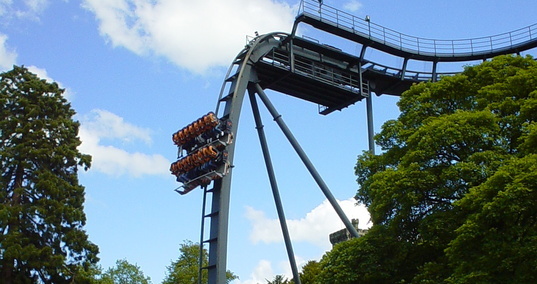 In June 2015, five people were tragically injured on Alton Towers Smiler ride when an operator overrode an automated system, mistakenly believing a warning signal was a false alarm. Merlin Entertainments was fined £5 million after pleading guilty to a series of safety failings that would have prevented the accident. In the Alton Towers case, it was discovered that too many of their procedures were haphazard, without sufficient oversight, training and accountability. Our experience with hundreds of companies across dozens of sectors uncovered the fact that many could do more to improve safety culture, once our software made them more efficient managing and mitigating risk. Compliance doesn’t need to be a headache. Papertrail is already working with popular leisure attractions, at Zip World and Greenwood Forest Park in Wales. Recording and communicating procedures and the result of asset inspections is the most effective way to mitigate risk in public attractions and activity centres. Safety is at the heart of everything we do at Papertrail: Your safety is our primary concern.